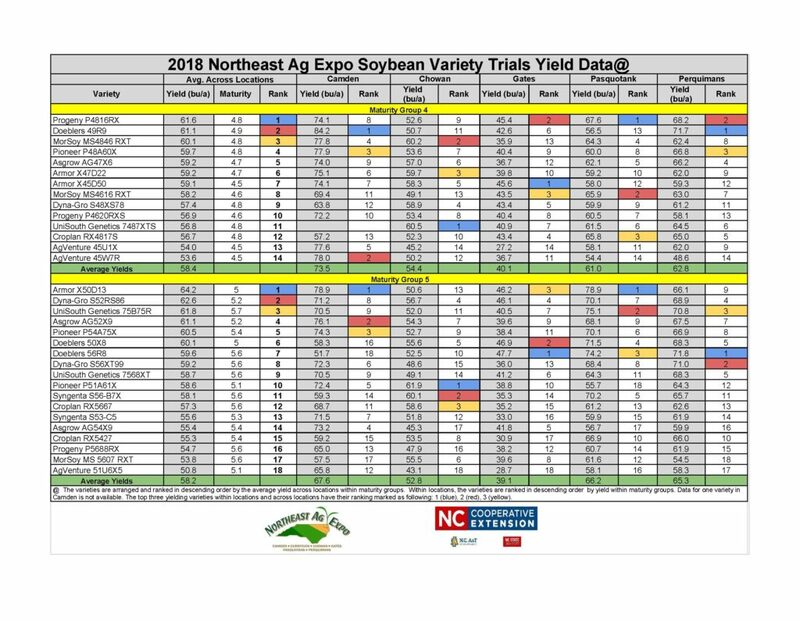 Yield results from the Northeast Ag Expo 2018 soybean variety trials conducted in Camden, Chowan, Gates, Pasquotank, and Perquimans counties are attached. Data are organized by maturity group and location. Varieties are ranked individually at each location, as well as averaged across all locations. The top three yielding varieties are each highlighted different colors (highest yield = blue, 2nd = red, 3rd = yellow). Product information is also included and contains information on soil type, seeding rate, and row spacing. 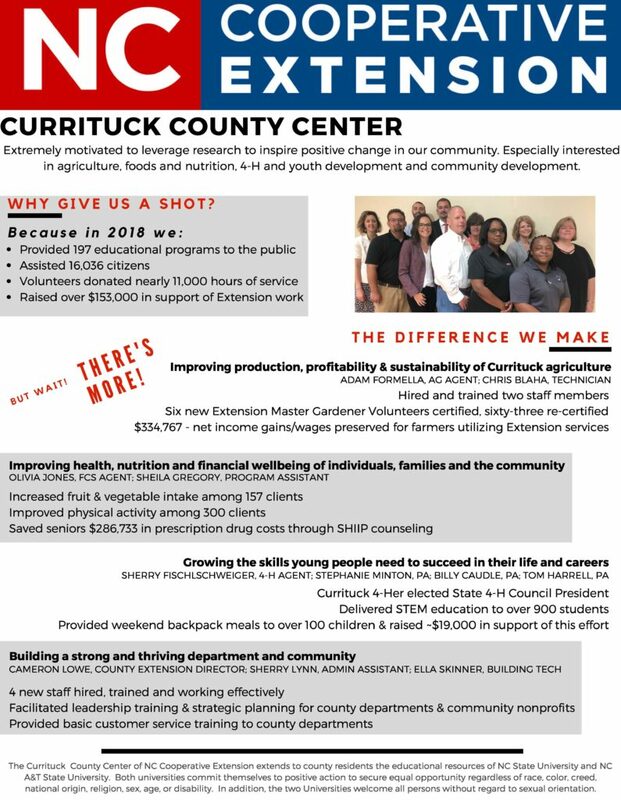 Although a trial was not conducted in Currituck County, these data can still be used to inform planting decisions. 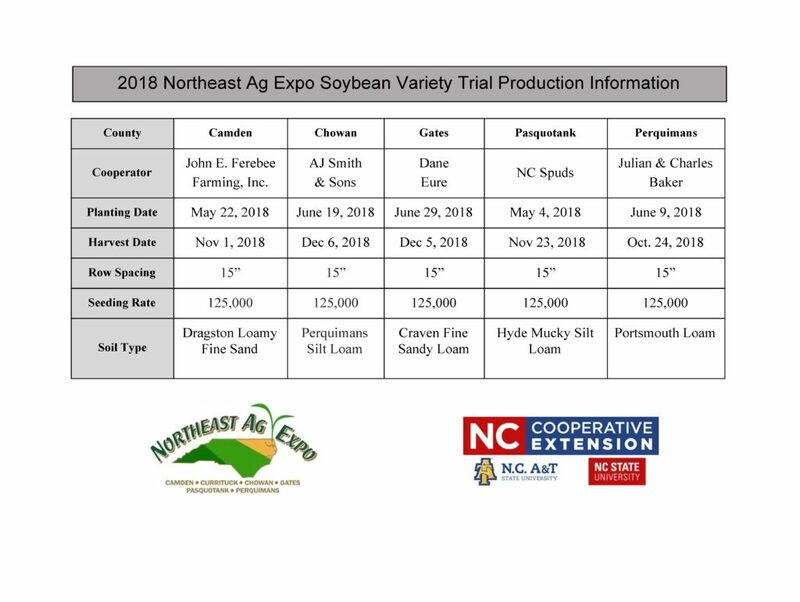 For 2019, Currituck County will serve as one of the sites for the Northeast Ag Expo Soybean Variety Trials again. I would like to thank all of the growers who helped produce this data as these trials would not be possible without the cooperation and support of local growers and agri-business. For more information, please contact Adam Formella, Extension Agent, Agriculture at 232-2262 or email ajformel@ncsu.edu. 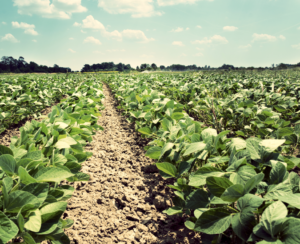 • What Have We Learned From Several Years of Foliar Yield Enhancement Soybean Trials in North Carolina?